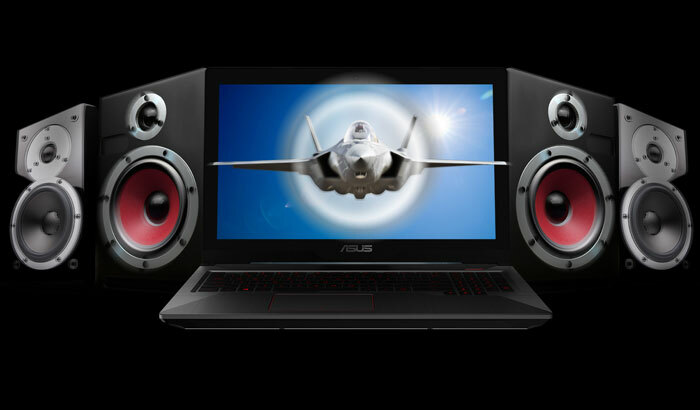 ASUS FX503 is the compact and powerful Windows 10 laptop that packs the latest 7th Generation Standard Voltage Intel® Core™ processor and NVIDIA® GeForce® GTX 10 Series graphics. 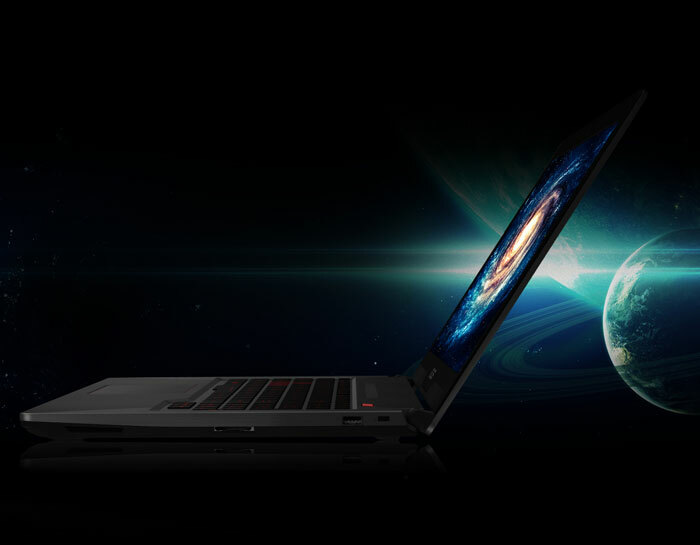 A high capacity battery ensures you stay productive and entertained throughout the day, while the intelligent cooling system enables graphically-intense gaming sessions without throttling. And with its lightweight design, it's easy to carry all the power and performance you need to play or produce, wherever you go! • 7th-generation Intel® Core™ i5-7300HQ quad-core 2.5GHz (Turbo to 3.5GHz) with discrete NVIDIA GeForce® GTX™ 1050 2GB graphics. • 1TB SSHD Hybrid Drive (up to 6x faster performance than traditional HDD) and 8GB DDR4 DRAM. 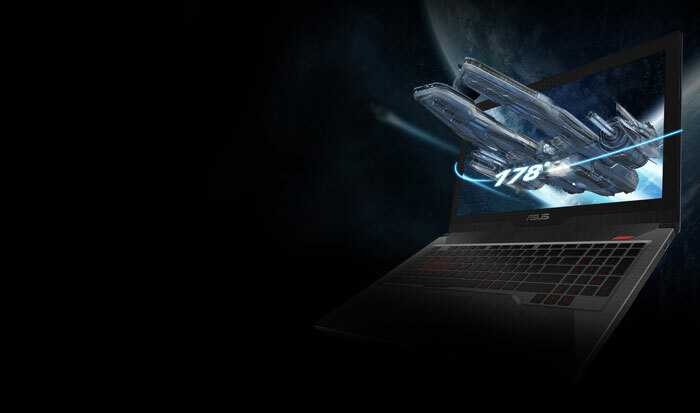 ASUS FX503 is the compact and powerful Windows 10 laptop that packs the latest 7th Generation Intel® Core™ processor and NVIDIA® GeForce® GTX 10-Series graphics. A high capacity battery ensures you stay productive and entertained throughout the day, while the intelligent cooling system enables graphically-intense gaming sessions without throttling. FX503 is the first in the series to feature an ultrafast 120Hz, 15.6-inch Full HD display for cinematic experiences and smoothest gameplay. And with its lightweight design, it's easy to carry all the power and performance you need to play or produce, wherever you go! 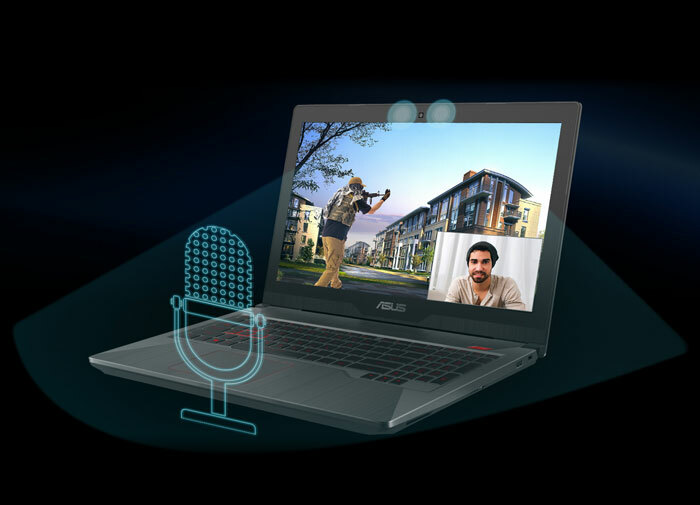 FX503 is equipped with the latest 7th Generation Intel Core processor and NVIDIA GeForce GTX 10-Series graphics with full Microsoft® DirectX® 12 support, all engineered into a body that's as stylish as it is lightweight. 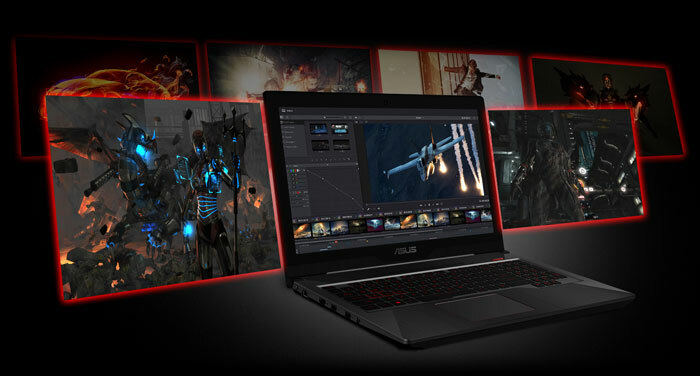 This performance is matched by a high capacity battery to ensure long-lasting gaming sessions. Whether you need to multitask for work or school, kick back with movies or music, or game on the go — FX503 has the power to perform! GTX 1050. 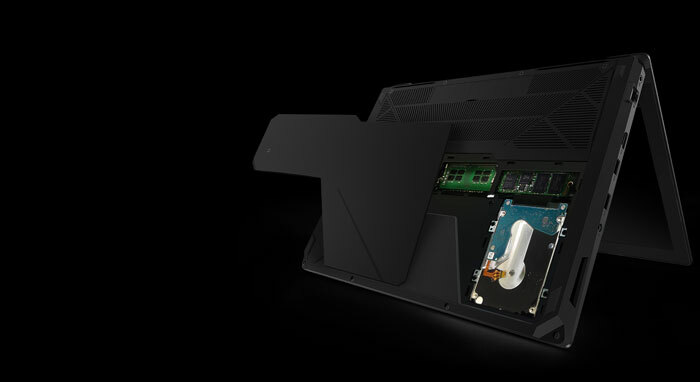 Now, you can turn your laptop into a true gaming rig, powered by NVIDIA Pascal™—the most advanced GPU architecture ever created. 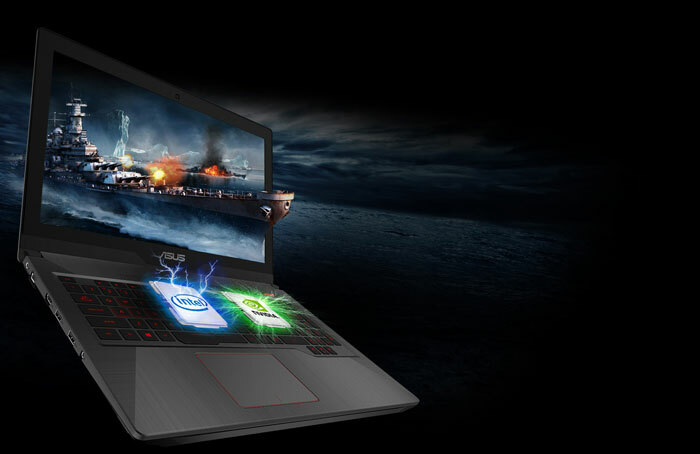 It's loaded with innovative NVIDIA Game Ready technologies that let every gamer experience the latest titles in their full glory. 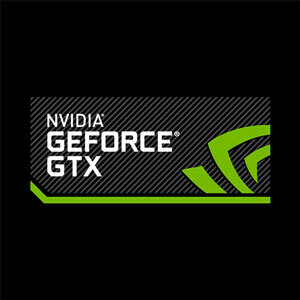 This advanced GPU boosts performance in high-definition games compared to previous-generation GPUs. 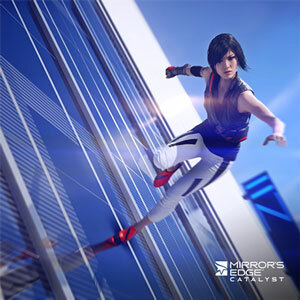 It's created with the latest technologies and supports DirectX 12 features to deliver super-fast, smooth, power-efficient gameplay. Capture and share professional-quality in-game photos with NVIDIA Ansel™ technology. 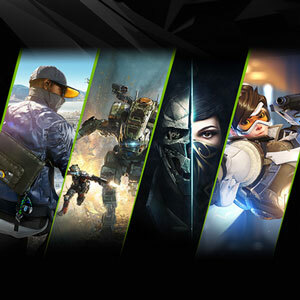 And watch every game come alive with NVIDIA GameWorks™ innovations that provide a true cinematic experience. 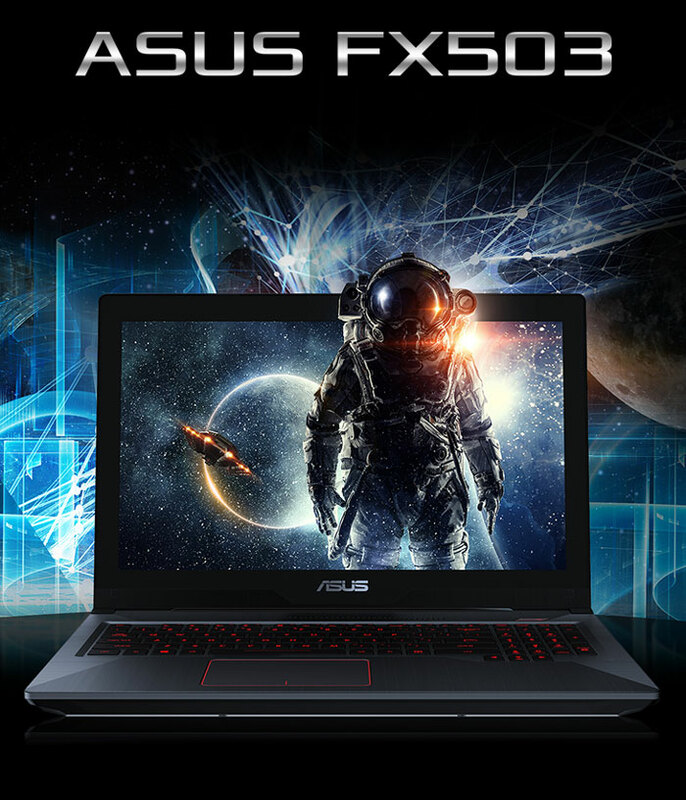 In a first for the series, FX503 boasts a 120Hz 15.6-inch IPS-level display. The ultrafast refresh rate makes it capable of displaying 120 frames per second, so movies appear more vivid, and games run smoother to give you a competitive edge in fast-paced action titles or first-person shooters. This display delivers great contrast and color consistency, and there's no color shift even when viewing from extreme positions — so it's always easy to see what's onscreen. We've even applied a matte finish, virtually eliminating distracting glare or reflections. FX503's keyboard is as thoughtfully designed as the rest of the machine. 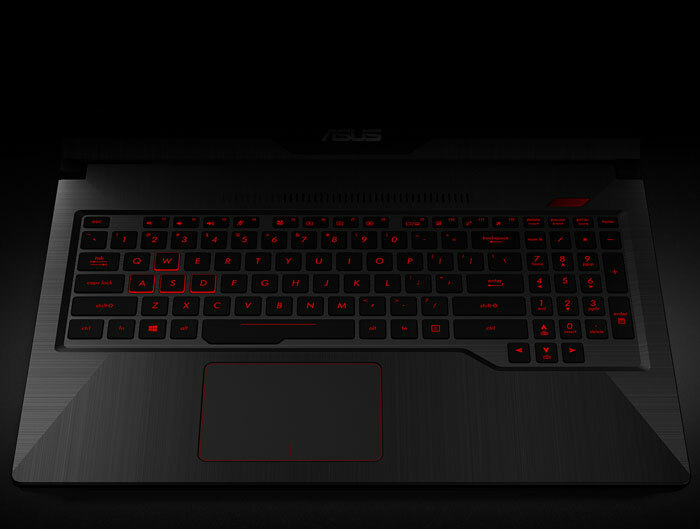 The low-profile, scissor-switched keys offer 1.8mm of travel for tactile typing, and are backlit in striking red for easy operation night or day. FX503 also has a highlighted WASD key group, N-key rollover, a broad space bar, isolated arrow keys and 0.25mm keycap curves — enabling fast, accurate and comfortable control that's essential for intense gaming sessions! The ultraportable design has a profile that's a stylishly slim 2.4cm. It's also surprisingly light at just 2.5kg, so you'll barely know it's there when sliding it snugly into your messenger bag or backpack! 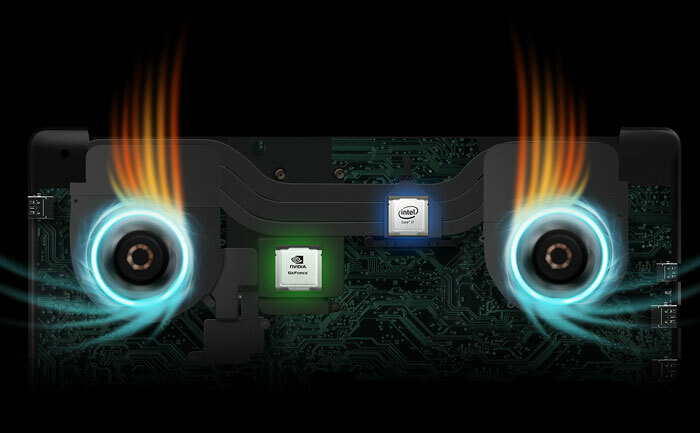 FX503 employs a pair of copper heat pipes and a dual-fan system to cool the processor and graphics card independently. This ensures system stability even during intense gaming sessions without throttling. The additional Fan Overboost function maximizes cooling efficiency, ensuring that FX503 has the stability required for all tasks. With up to 32GB of DDR4 RAM, FX503 provides the perfect balance of performance and energy efficiency. A built-in array microphone filters out ambient noise to ensure clear and crisp voice pickup, even in noisy environments. FX503 has built-in speakers that are positioned to pump audio directly towards you. Powered by ICEpower® technology, this smart arrangement delivers truly immersive listening and gaming experiences — and everything is loud and clear. FX503 offers a quick and easy way to access and upgrade your storage — it's as simple as removing a single screw!